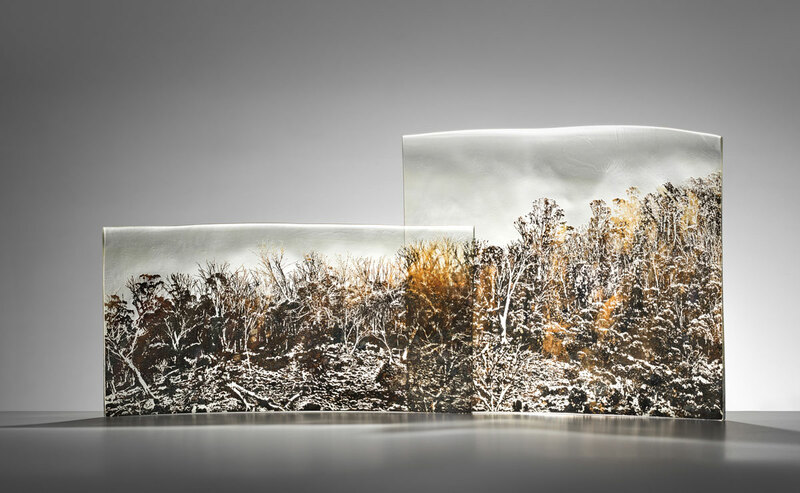 The organic forms and subtle tonal variations that occur in nature provide a rich source of inspiration for glass artist Holly Grace. Growing up in Western Australia, Holly was aware of nature’s beautiful but harsh reality, with the line between urban and natural landscapes small and often changing. 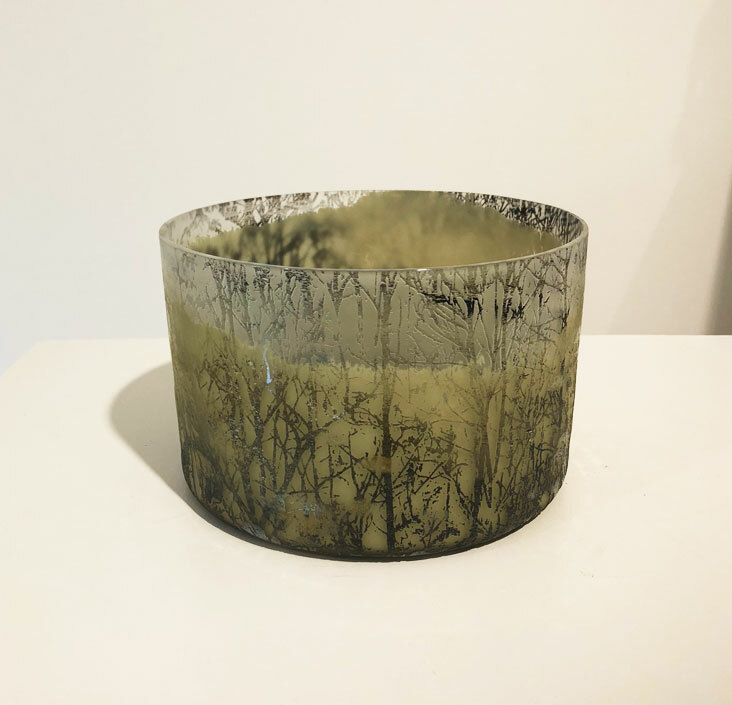 Holly’s work continues to follow her observations of the natural world, the surfaces sandblasted and etched with landscape imagery and the translucency of the glass allowing light to reveal subtle tones and shadows within. Over the last few years, Holly has been increasingly drawn towards the history of human engagement with our nearby alpine and sub-alpine regions, both before and after European settlement. During her explorations of these regions, Holly has come across small mountain huts. 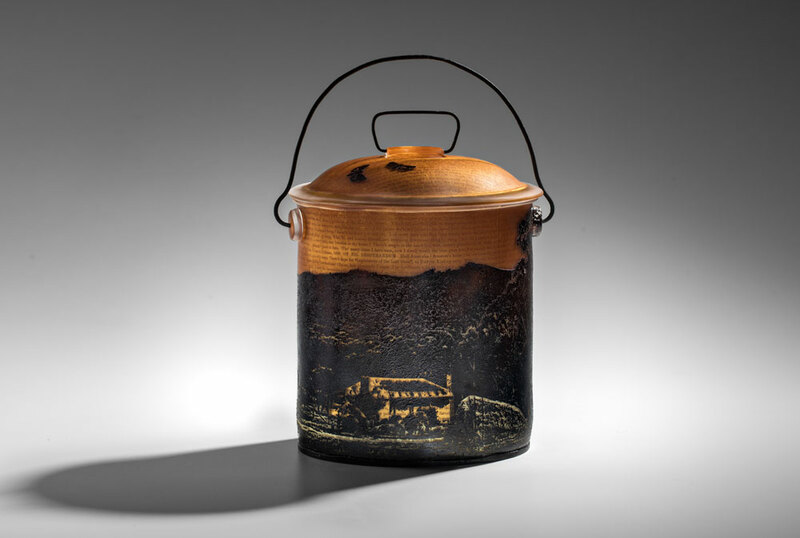 These, often crude, huts scattered throughout these areas form a potent symbol of our early encounters with this beautiful environment and “are a physical testament to our pioneering past and a people’s history”. 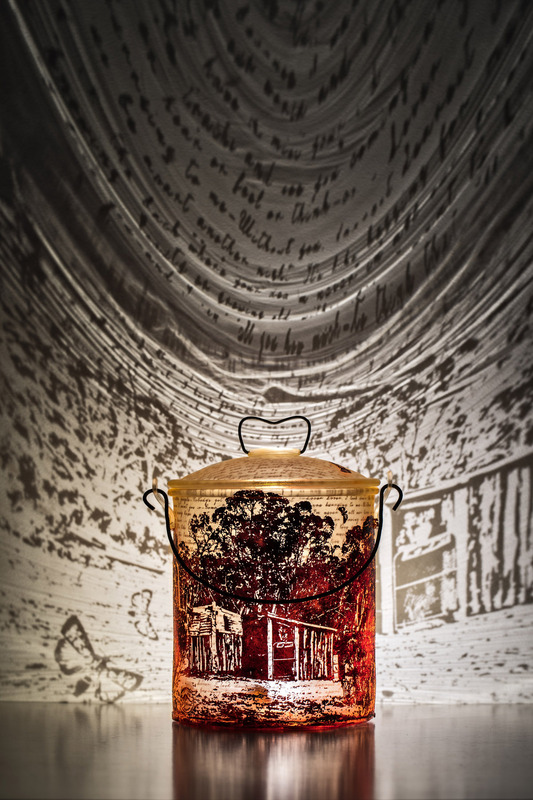 Holly reflects on both the original occupants and their relationship to the landscape by lighting her representations of the huts from within, the imagery etched on the surface being projected onto the surrounding surfaces. Holly takes this idea one step further with the ‘Billy can’ series, where the hut image is rendered onto the billy itself. The gilding on these, a relatively new technique for Holly, is another play on light as it appears to make the pieces glow from within. 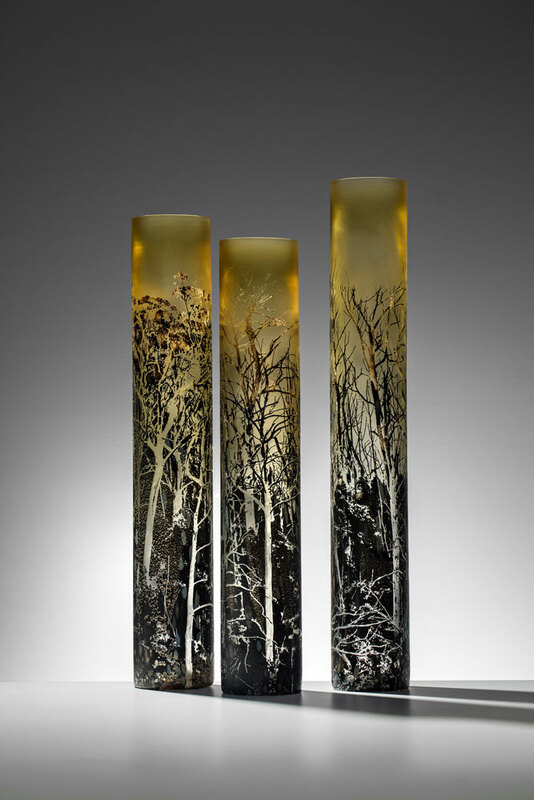 Holly Grace completed her Bachelor of Fine Arts at Curtin University in Perth in 1996, then went on to further study glass at Monash University in Melbourne, completing her Masters in 2004. During this time, she also worked as studio assistant to renowned glassmakers in Australia, Denmark, Sweden and the UK. 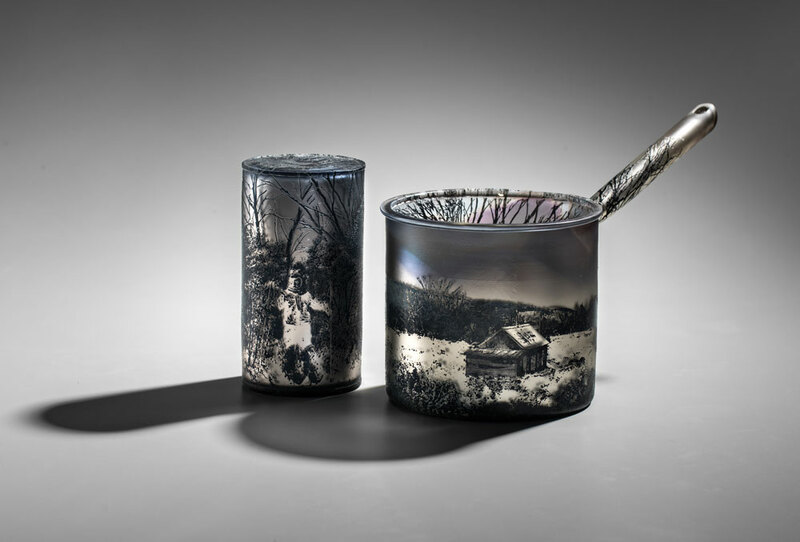 In 2010, Holly was a finalist in the Tom Malone Prize at the Art Gallery of Western Australia and received a Pilchuck Glass Scholarship. 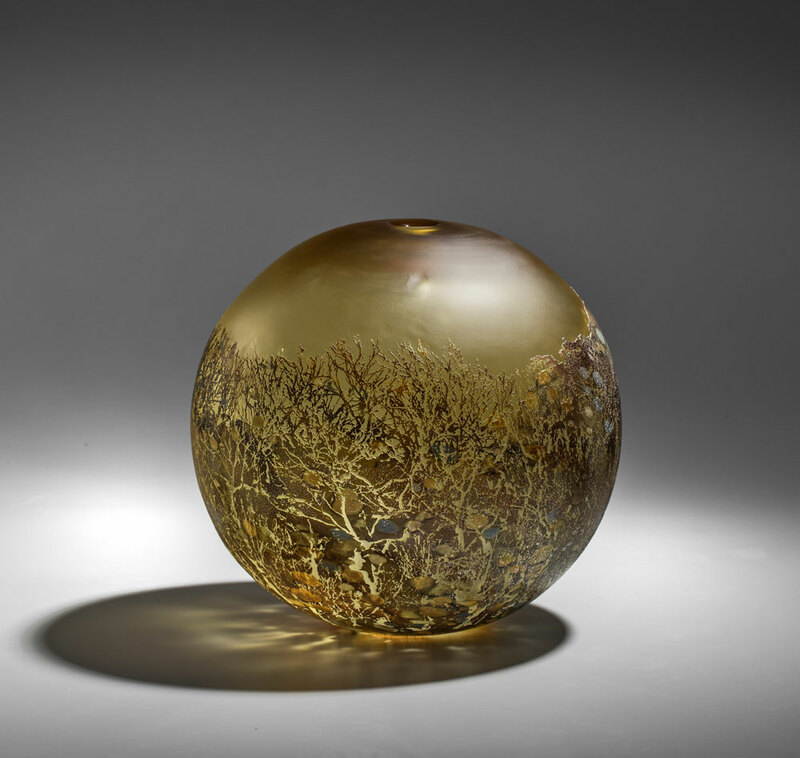 Her work is in collections including the National Gallery of Australia, Australian National Glass Collection (Wagga Wagga, NSW), Parliament House, Artbank, Art Gallery of Western Australia and the Glasmuseum (Ebeltoft, Denmark).